Australians have marked the first National Family Drug Support Day on 24 February 2016 to encourage people affected by a family members' alcohol or other drug use to reach out for support. Karen* understands the isolation parents can feel when they learn that their child has been using drugs. Karen first discovered her son was smoking cannabis when he was 15 years old. "I was devastated and threw it out," says Karen. "We never spoke about it." "In hindsight, I would definitely talk to him about it and offer him support, I now know it lessens the emotional impact of the drug use and also keeps the communication channels open between the parent and the child." Karen says she would also source information about drugs, their effects and accessibility, so that she had a greater awareness of alcohol and other drug use in the community. Karen's son continued to use drugs, completed his schooling and attended university for six months. He began using amphetamines and drifted from place to place and from job to job. 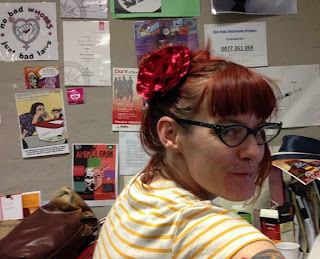 "It was an incredibly difficult and isolating time in my life," says Karen. During these years, Karen attended a presentation at a university by the coordinator of the Parent and Family Drug Support Line, a free, 24-hour confidential, anonymous service providing professional and peer support. Karen made contact and found the service to be empathetic and supportive. Karen joined the Parent and Family Drug Support Line as a volunteer, not wanting another parent to feel so alone and helpless. "I think having that understanding of how parents feel is so helpful for them, it lessens their load and gives them someone to talk to about their deepest fears," says Karen. Karen's son is newly engaged and looking ahead to the future, while Karen continues to volunteer for the Parent and Family Drug Support Line. Volunteering for the Parent and Family Support Line has helped Karen in moving forward. "I thought I could help people from a distance, but what I have actually found was that I have received far more than I have given. This organisation has introduced me to people from all walks of life who have triumphed despite the sadness they have experienced through their child's drug or alcohol use." 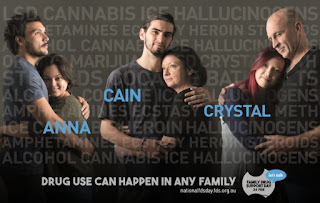 Alcohol and other drug services know how important it is to offer support to the whole family. Western Australians can learn more about the family support services available in WA by searching the Green Book or calling the Parent and Family Drug Support Line. Many of these services are free. While family support services are mostly based in the metropolitan Perth, there are services available in the regions. Cyrenian House runs a weekly Family Matters group where family members can get support from each other as well as from a trained counsellor. The group provides family members with communication strategies, coping skills, information about drugs and their effects, and an opportunity to talk with others in a similar situation. Cyrenian House also co-facilitates a group run by Families 4 Families twice a month. This is a peer support group run by families for families, with a mix of guest speakers and shared support. "Families can often feel isolated and alone in their endeavours to support the family member who is using alcohol or other drugs," says Cyrenian House Family Counsellor James Snell. "Family support services are important to let family members know that they're not alone and to provide support." "It gives people the chance to debrief and de-stress in a supportive environment and can also help family members manage their own feelings in regards to the family member who is using the drug." Holyoake offers a range of programs which provide support, self-awareness, understanding, information and coping strategies for family members and significant others. Holyoake reports that 30% of clients choose to access the service due to a significant other's alcohol or other drug use. Along with providing counselling for individual family members, couples and family counselling, Holyoake has a number of group programs. These include Relationships in Focus, Parent's Program, Art & Play (for mothers with a history of alcohol or other drug use and their children), Childhood in Perspective (for men and women over 18 to address issues related to growing up in a family where alcohol or other drugs were a problem), and the Young People's Program (for young people aged 3-17 impacted by a parental or significant other's alcohol or other drug use). "We work with family and friends to assist them to understand the impact of alcohol and other drugs on their loved ones, themselves and their relationships," says Holyoake Clinical Services Manager Christine Ockenfels. "Research indicates that a family's strategic responses to these problems can promote positive change in the person using alcohol and other drugs." "Feedback from clients indicates they also experience positive changes in anxiety, depression and physical symptoms, as well as relationship improvements." Mission Australia's Drug and Alcohol Youth Service (DAYS) provides young people and their families access to a comprehensive range of free and confidential alcohol and other drug services. DAYS aims to empower young people affected by alcohol and other drugs to improve their health and wellbeing. Families can directly refer a young person to the service for either counselling or a three week stay at the withdrawal unit. "Family members can also access information and referrals to other parent or carer services during this time," says Mission Australia's Area Manager for Youth, Mental Health & Alcohol and other Drugs Suzanne Caren. "We can also refer parents to other AOD treatment services in their area, so they receive the best advice on how to respond to their child." Palmerston Association provides a number of family services, including family counselling and both informal and structured family support groups run by people who have experienced a family members' alcohol and other drug use. Palmerston Association's Stepping Forward family support group program also offers sessions about drugs and treatment, stages of change and communication. Each session is designed to provide participants with something of value without having to attend all sessions. "Our families are a part of our life and can often be part of the solution," says Palmerston Association Acting CEO Bram Dickens. "Collectively, our team has a wealth of experience, working with community groups, families and children, people from culturally and linguistically diverse communities and Aboriginal people. Everyone is welcome." As well as offering a free, 24-hour confidential, anonymous telephone support line with the option of professional and/or peer support, the service also offers face to face support to parents attending Drug Court with their children and a fortnightly peer support group. A free parent support pack is available which provides tips and strategies on how to talk to your children about alcohol and other drugs, and offers suggestions on what works well if your child is using. Call 9442 5050 or 1800 653 203 (country callers) for your free copy. Womens Health & Family Services supports and encourages family involvement. Services include the Drug and Alcohol Program (DAP), PEPISU Women & Children Program, and the Aboriginal & Grandparents Family Support Program. Womens Health & Family Services AOD & Mental Health Service Manager Margaret Slattery says there are many reasons why it is important to provide family inclusive practice in alcohol and other drug services. "Educating families in AOD use, relapse management, healthy communication and shifting family attitudes can increase family members' understanding of the effects of alcohol and other drugs and help empower families to more positively influence their loved ones," says Margaret. "It strengthens the possibility of someone accessing treatment and staying in treatment longer." 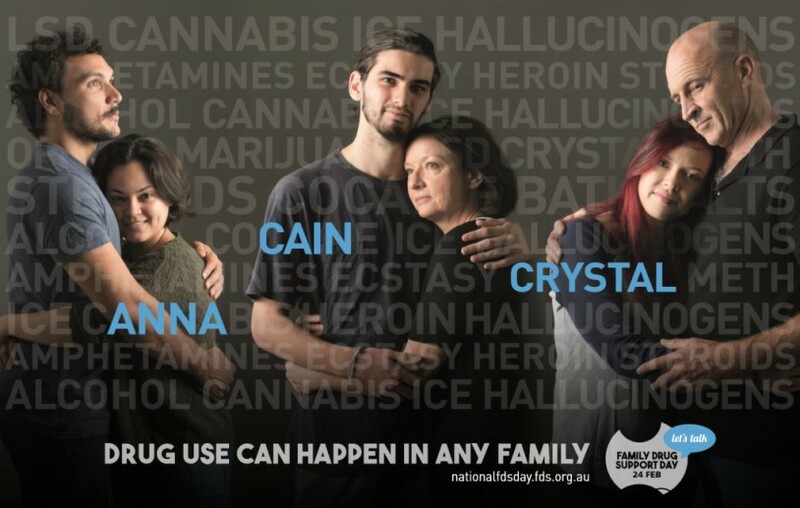 Parent & Family Drug Support Line - (08) 9442 5050 (metro) / 1800 653 203 (country). On 20 December 2015 Health Minister, Hon Sussan Ley announced that the new hepatitis C treatments will be available on the Pharmaceutical Benefits Scheme from 1 March 2016. HepatitisWA is a community based organisation which provides a range of services to the community in response to viral hepatitis, particularly hepatitis A, B and C.
Here are HepatitisWA's answers to frequently asked questions (FAQs) about the new Hepatitis C treatment to help provide an accurate picture for the community. Q. When will the new medicines be available to Australians? A. The new medicines will available on the PBS from 1 March 2016. Q. Are the new medicines better than the older ones? do not require the use of peg-interferon as part of the regimen. Q. Are they available from GPs? A. The government has said that GPs will be able to prescribe these medicines in consultation with a specialist. Specialists will also be able to prescribe the new medicines. Q. Do you have to be very sick to access the new medicines? A. No. Everyone over the age of 18 who has been diagnosed with chronic hepatitis C infection will be eligible to receive the new medicines regardless of their stage of disease. Q. Will access to the new medicines be restricted or limited in any way? A. No. The new medicines will be available through the PBS to all adults (>18) who hold a Medicare card and have chronic hepatitis C - regardless of their stage of liver disease. The particular combination of medicines prescribed will depend on a number of individual clinical factors. Interferon-free treatment options will be available for all major genotypes in Australia. Q. Will people who currently inject drugs be able to access the new medicines? A. Yes. There will be no restrictions applied for people who inject drugs as they are a priority population for hepatitis C treatment. Q. Will people in prison be able to access the new medicines? A. Yes. It is usually a state and territory responsibility to fund the health care of people in custodial settings, however the Australian Government has agreed to fund the treatment of prisoners as they are a priority population for hepatitis C.
Q. How much will the medicines cost me? A. Once the PBS listing takes effect on 1 March 2016, you will only be charged the usual co-payment price you pay for a prescription. From 1 January 2016 this is $38.30 for general patients and $6.20 for concessional patients. Q. What are the names of the new medicines? Q. Will other medicines be listed? A. There are other medicines currently being considered for PBS listing. Q. Where can I get further information? A. You can talk to your GP or call the National Hepatitis Information line 1800 437 222. General Practitioners (GPs) will now be able to prescribe these Hepatitis C treatments and Hepatitis WA encourages people to discuss the new treatments with a GP. For more information and support, please contact HepatitisWA, or make an appointment to call by and talk with an appropriate member of staff. Call (08) 9328 8538 or 1800 800 070 (FREECALL within WA outside Perth metro area) or email info@hepatitiswa.com.au. When you or someone you care about is facing a difficult time, it can be hard to know where to go for support. This can be distressing, particularly if facing a crisis situation such as thoughts of suicide or dealing with psychosis. Jack became concerned about his alcohol and drug use after he noticed changes in his mood, including depression and thoughts of suicide. Jack felt his moods directly related to his alcohol and other drug use and wanted support to stop using. Jack spoke to his mum Louise about his concerns. Supportive, Louise wondered how she could help. Louise then called the Parent & Family Drug Support Line, which provided emotional support and brief counselling. The service also gave her contact details for some local alcohol and other drug counselling services, so that Jack could seek support. Jack called the Alcohol & Drug Support Line, which provided counselling and brief intervention over the phone. When Jack felt ready to see someone in person, he contacted an alcohol and other drug service. In a crisis situation the first step is to remove the immediate risk. If necessary, call the police or ambulance on 000. For people who need support or information in relation to alcohol and other drugs, the Alcohol and Drug Support Service offers free 24/7 state-wide telephone counselling, information, referral and support. Alcohol and Drug Support Service Manager Stacey Child says the service offers a tailored approach. "We can work with the person where they are at," says Stacey. "For some people this is counselling and brief intervention, for others it may be referral to an appropriate service, and some callers just want information about their options for when they are ready to take the next step." "Our services are completely confidential and callers do not need to give their name." The Mental Health Emergency Response Line is a free, 24 hour service that can provide assessment of people with psychiatric and / or mental health concerns. The service can provide referral for response and treatment as well as phone counselling and support. This service can help with psychiatric emergencies and referrals for ongoing care. For those in rural areas of Western Australia, RuralLink provides specialist confidential after-hours mental health telephone support. RuralLink helps people dealing with depression, suicide, anxiety, psychosis, mental health issues or mental health crisis. RuralLink can also be accessed by health professionals and community welfare service providers for after-hours telephone support, information and advice on mental health matters. RuralLink operates from 4.30pm - 8:30am, Monday to Friday and 24 hours on Saturday, Sunday and public holidays. Once the crisis situation is under control, it is important to reach out to services that can provide ongoing support. This may include alcohol and other drug support services and mental health support services. The Mental Health Emergency Response Line and Alcohol and Drug Support Service lines can provide recommendations for support services. Injecting drug users are helping to prevent overdose with training and support from the WA Substance Users' Association (WASUA), a not-for-profit organisation that offers health services, including needle and syringe exchange, to people who use drugs in Western Australia. The Overdose Prevention and Management (OPAM) program aims to reduce the physical and psychological harms associated with illicit drug use, with a focus on preventing and managing opioid or poly-drug central-nervous-system (CNS) depressant overdose, and on preventing and responding appropriately to amphetamine toxicity. According to WASUA's Overdose Prevention and Naloxone Program Project Officer Laura Jinks, the project builds on the strengths of the local drug user community to improve health outcomes. "In any community there are lines of communication and we want to use those lines of communication to share harm reduction information," says Laura. Roughly 40% of fatal overdoses occur when no one else is around. In the other 60% of cases, the people present may not be aware that the person is overdosing, or they may not know how to respond as a first-aider. "That 60% we endeavour to train up to respond and manage the situation," says Laura. "We change the ethos of people using drugs and give them strategies to reduce the harm of using on your own." An overdose doesn't have to be fatal to cause serious harm. In opioid-related overdose, the part of the brain responsible for breathing is impaired. Lack of oxygen can then cause damage to the brain or other parts of the body before the person comes round. An overdose also affects the people who witness it. "When you're overdosing you usually don't realise it," says Laura. "However, it can be an extremely scary, terrifying experience for anyone who witnesses an overdose." Why Do People Step Forward To Be Peer Educators? Most people who choose to learn more about the program want to be able to help. "I think people have this perception that people who use drugs are just in it for themselves, that we're outside of the general community," says Laura. "But really, people who use drugs are just like anyone else - we care about our community, about our friends and about our family." Laura says that witnessing an overdose can motivate people to participate. "They want to be skilled up so they can help if it happens again." Who Can Be A Peer Educator? The OPAM project recruits people from the Perth metropolitan area who regularly inject or use opioids. To reach a wider group, this criteria has expanded to encompass users who have a wide social network of people who may inject drugs other than opioids. These people are trained and supported to be peer educators. "We hold focus groups and chat to everyone," says Laura. "We're careful not to lead them and, because people do get reimbursed for time and experience, we make sure they're in it for the right reasons." "We'd much rather have a smaller group than have people involved who perhaps aren't ready or aren't suited to the role." What Do Peer Educators Learn? Peer educators take a two-day training course to prepare them for the role. The first day of the course covers harm reduction techniques such as using sterile equipment and cleaning the injecting site. "We're just arming them with a bit more knowledge," says Laura. "We talk about why this is so important… what are the effects of not filtering, for example… what's the best thing to do, and what's the next best thing to do if you can't do that?" Participants are taught first aid, and earn a basic life support certificate on the second day of training. Once participants have completed the peer educator training, they are provided with a diary to record times when they've been able to offer information to their peers. The diary includes useful contact information for other sources of health information, such as the WA AIDS Council, Next Step Drug and Alcohol Service and the Aboriginal Alcohol and Drug Service. Peer educators are also encouraged to attend an additional day of training to cover the use of naloxone to manage overdose. Naloxone (or "Narcan") is the drug used by paramedics and hospitals to reverse opioid overdose. WASUA Peer-administered Naloxone Project trains people to recognise and manage overdoses, and in how and when to administer naloxone. People who complete this training can be prescribed and dispensed naloxone kits for free. How Do They Share What They Know? Peer educators share what they know during normal conversation with people who inject drugs, people who are social or casual contacts. "Peers are there while people are using drugs and they're able to share information about safer injecting and safer drug use," says Laura. "Sometimes the challenge is for peer educators to recognise that what they're doing is education and that it's helping others. Peers are also in an ideal position to recognise and respond to overdoses promptly." OPAM peer-educators have successfully resuscitated many people who may otherwise have died or suffered permanent injury before an ambulance could arrive. "We hammer it home that it's by users for users… it's not a tokenistic involvement, we get their feedback in the diaries and we use that when we revise and reprint them," says Laura. "The peer-educators have helped design educational resources as well." For six months after the training sessions, peer educators note down any instances in which they've had the opportunity to share what they know. This provides useful information about their work, about the health issues faced by drug users, and about changing trends in the community. They also note down any questions they've been asked but couldn't answer. "We tell people, 'if you don't know, don't guess' and when they come in we might work with them to find out the answer, we do the research together," says Laura. Peer educators have a great deal of knowledge about what's happening among their networks, which helps WASUA to offer health information and services that meet the community's current needs. "We're very respectful of experiences… their voices are heard," says Laura. "For example, peer educators might come in and say 'a lot of my friends are getting abscesses', so we'll put information up on the board in the exchange and we discuss it with clients or hand out information related to that." Peer educators also come into contact with people who don't access health services or needle and syringe exchange programs (NSEPs), such as those offered by WASUA. "Especially in outer suburbs or outside the metro area, people are often buying their injecting equipment from pharmacies, or given syringes by friends or the person they buy their drugs from, but don't have access to health information or referrals," says Laura. "Peer educators disseminate harm reduction education and broaden the referral base for WASUA and other AOD agencies." "That's one part of the project that I find really savvy… this gives us an avenue to get information to people who don't access services directly." "Man, I went from being a street urchin to being a teacher… …this knowledge I have is worth something and I help people…" OPAM Peer Educator. Peer educators are reimbursed for their time and expertise but the rewards go beyond a little extra cash or a free lunch. "We pay them to attend a de-briefing session and take them out to lunch," says Laura. "One of the guys went out and bought a skateboard during the break so he could show us, two boys saw a two-for-one shoe sale at the nearby sport store so pooled their money and bought a pair of shoes each, while another guy went out and bought his son a Christmas present… …even I've been pleasantly surprised." The OPAM project has been so successful that some peer educators volunteer to continue once their six months is up. "We actually have a lot of people who volunteer to carry on unpaid, people who want to make a difference," says Laura. "They feel more empowered, more educated, more competent, more confident - it's a common theme, and it speaks volumes that they want to volunteer later." For more information about the Overdose Prevention and Management (OPAM) program or the Peer-administered Naloxone Program, please call the WA Substance Users Association (WASUA) on (08) 9321 2877 or call in to WASUA at 519 Murray Street, Perth. The Overdose Prevention and Management (OPAM) program is a collaborative project of WASUA and the WA Drug and Alcohol Office (now Mental Health Commission). Alex* started using drugs at age 13 after moving to England from Australia with his family. He says the combination of peer pressure, boredom and availability led him to start using marijuana, alcohol and the magic mushrooms which grew in the wild for three months of the year. As he got into his late teens and into the rave scene, harder drugs like LSD and ecstasy started to become regular weekend habits. Moving back to Australia just before he turned 17, Alex took a break from drugs whilst working out in the Kimberly as a Jackaroo. However when he returned home, he got back into rave parties and started working nights, smoking marijuana daily and using hard drugs when he could. He was introduced to methamphetamines and things started to go downhill. Alex describes himself at this time as angry and vengeful and his relationships with his friends and family started to deteriorate. Working at a pub, he had constant access to alcohol and meth which he was using regularly. Alex would experience intense cravings for meth and realised he was at the verge of psychosis. He gave up the meth, whilst still smoking marijuana daily and drinking alcohol heavily. Unable to work or pay rent, this lifestyle was taking a toll on Alex’s physical and mental health. Alex woke one day after a heavy session smoking marijuana with his head-spinning and heart pumping. Fearing he was having a heart attack, he called an ambulance. It was his first panic attack, and it wasn’t the last. The anxiety continued daily, and depression set in. Alex contacted the integrated Next Step / Palmerston service in Fremantle. He was put on the waiting list for Palmerston’s Therapeutic Community. The Farm is a Therapeutic Community 30 minutes south of Perth offering a residential rehabilitation program designed for people wishing to address their substance use issues. The suggested minimum stay is 14 weeks, with residents having the opportunity to remain in the Therapeutic Community for up to a year. Residents are provided with a routine of farm work, individual and group counselling sessions and recreational activities. They are also responsible for meal preparation and daily tasks on a rostered basis. Families are able to visit on the weekends, with a playground recently installed for the children who visit. Alex says he owes his recovery to the farm; however his first impression of being on the farm was ‘strange’. As someone who had isolated himself from society, living with 30 other people and having to communicate with them was hard at first. With a therapeutic approach, residents at the farm are encouraged to be accountable for their own behaviour and to make other people aware of their negative behaviour in order to address it in a constructive way. This was a challenge at first for Alex as he had a number of behaviours to work on. Things started to click for Alex as he learnt to communicate with others and to recognise his behaviour. He says that he lost his social skills after 15 years of using drugs and the farm taught him how to be part of society again. It provided Alex with a safe, supportive environment where he was able to learn, grow and test the boundaries. Alex reconnected with his family and old friends, something he feels he wouldn’t have been able to do if he didn’t have the support of the farm and his counsellors behind him in case things didn’t work out. Alex progressed to the Palmerston transitional housing, which is accommodation provided for residents who have completed the program and who would benefit from some ongoing involvement in the Therapeutic Community. These residents are expected to take a lead role in the community, while engaging in employment or pursuing further training. Whilst here, Alex joined the local cricket club, started a TAFE course, got a job and was meeting and socialising with new people. By the time he moved out of the transitional housing, Alex’s days were filled and his lifestyle no longer revolved around drugs and alcohol. Nowadays, Alex is giving back to those who seek support. He is a facilitator of support group meetings, assisting people in recovering from alcohol, drug use and other addictive behaviours. Alex is currently studying his certificate 4 in peer work and is working a couple of jobs. He also has a close relationship with his family and friends. For Alex the farm gave him the opportunity to turn his life around. For people who are dependent on alcohol or other drugs and who want to safely reduce or stop their use, withdrawal is an important step along the way. While some people choose to work with in-patient withdrawal services, people living in the Perth metropolitan area may choose to withdraw at home with support from St John of God Health Care's Drug and Alcohol Withdrawal Network (DAWN). The Drug and Alcohol Withdrawal Network (DAWN) team. The Drug and Alcohol Withdrawal Network (DAWN) is a free, professional service that provides an effective treatment option for people choosing to safely reduce or cease their substance use. "DAWN supports people to manage their withdrawal from alcohol or drug use in their home environment," says DAWN's Manager Liz Wilson-Taylor. An experienced Clinical Nurse Specialist will work closely with the consumer, their doctor and family member/support person and make regular visits at the home throughout the withdrawal. Why Do People Need Medical Support To Withdraw From Alcohol or other Drugs? "Ceasing a substance abruptly and without medical support - without medication and advice - can be dangerous, both physically and psychologically," says Liz. "This is especially true for alcohol." The withdrawal is planned with the client, their support person and GP with a commencement date negotiated with all parties. A DAWN Clinical Nurse Specialist (CNS) visits each day from Monday to Friday for the first week to monitor withdrawal symptoms and to assist in relapse prevention as well as with the medication regime if required. Telephone support via the Alcohol and Drug Information Service (ADIS) will be organised for the person over the weekend. Further visits will depend on ongoing assessment. The DAWN CNS also keeps the client's GP informed throughout the withdrawal and deals with any possible emergencies or issues along the way. "The service supports people to reach their goals and to make changes that are realistic and sustainable," says Liz. "We encourage self-determination and independence to reduce harm and promote a safer lifestyle." DAWN is mindful of the cultural, physical, psychological, emotional, spiritual and mental health needs of individuals. Explores options for ongoing support with the patient (including counselling and rehabilitation) and facilitates referral to the service that best meets their needs. Who Can Do A Home-Based Withdrawal? "We work with people from all walks of life with alcohol and/or other drug dependence or who are regular users," says Liz. "As everyone is different, a nurse will discuss an individual's circumstances with them to ensure home based withdrawal is the best treatment option." With the exception of tobacco, DAWN will support people to withdraw from any drug, and people with medical or mental health conditions are welcome. "It's important that people have some support and the nurse will ask potential patients about this as part of a comprehensive assessment," says Liz. Private health insurance is not needed. The costs that may be incurred are a visit to the GP and medications for withdrawal. "This depends on the situation and what substance or substances the person is withdrawing from," says Liz. Once a person is assessed, the nurse will talk to them about how long they can expect to be supported. "Change is possible and can be sustained," says Liz. "Withdrawal is a step in the process." What If Home-Based Withdrawal Is Not The Best Option? DAWN will discuss other options if home-based withdrawal is not the safest treatment for an individual. Says Liz, "We can facilitate referral to other agencies and services that best suit a person's needs." DAWN can initially see people in clinics across the Perth metropolitan area, as well as the main office based in Subiaco. The DAWN Youth Service has nurses co-locating at headspace Osborne Park and headspace Fremantle who provide holistic counselling, including harm-reduction support to either reduce or cease their substance use for young people aged 12 - 25 years with a mental health and AOD issue..
"We're often in the community seeing people, so it's a good idea to contact us by calling our Subiaco office," says Liz. For more information about withdrawal and detoxification services in Western Australia, visit the Green Book Directory of Alcohol and other Drug and Mental Health Services in WA at www.greenbook.org.au - or call the Alcohol and Drug Information Service (ADIS) on 9442 5000 (country callers 1800 198 024) for free, confidential information, counselling and referral 24/7. Australian not-for-profit Holyoake, a specialist in alcohol and other drug counselling and support, is building on its award-winning DRUMBEAT program to engage young people through a new game, DRUMBEAT Quest. DRUMBEAT promotes social understanding and connection through a team drumming experience. Developed in 2003, DRUMBEAT is an early intervention program that engages young people who may be averse to talking with a counsellor. DRUMBEAT already engages young people, so what happens when it meets computer gaming? DRUMBEAT Quest facilitates social and emotional learning through gaming and face to face interaction. The game encourages natural discussion about real life choices and social issues. 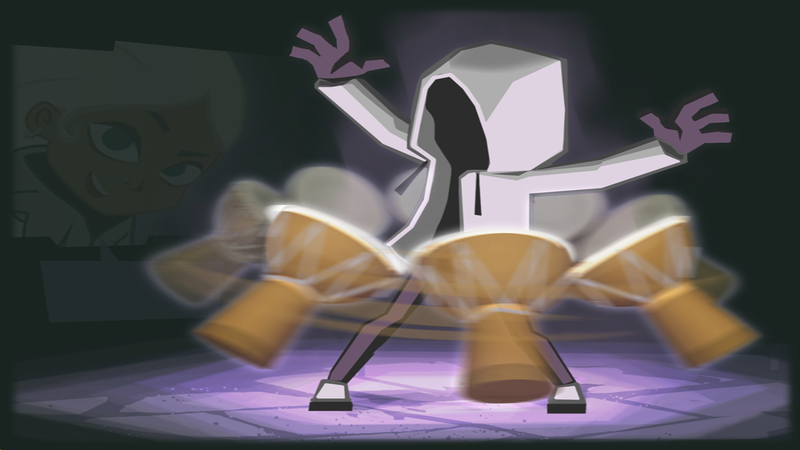 The DRUMBEAT Quest storyline puts the player, as the drummer, into a fantasy world where darkness has spread. In order to bring light (trust and hope) back to the community, the player must venture into the unknown and confront challenges that replicate many of the challenges young people face in real life. 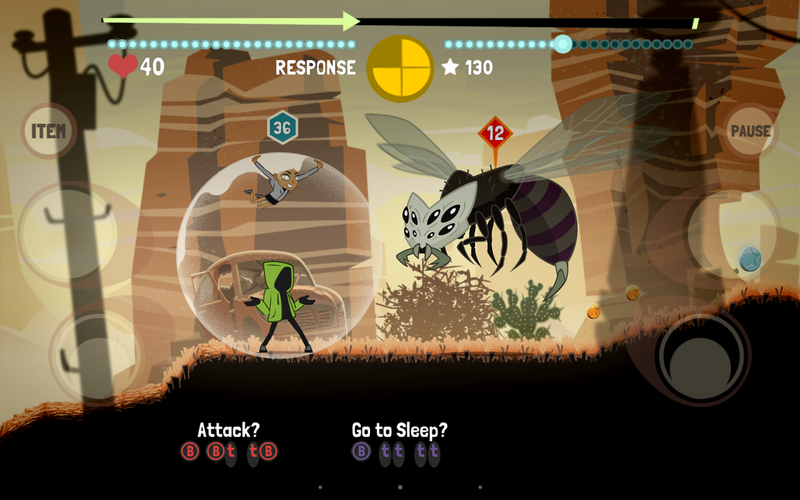 Scenarios in the game include rescuing vulnerable friends, confronting monsters, confronting bullies, avoiding peer pressure, making choices on which characters to trust, confronting the dark side of our own nature, and choosing which rhythm will be most effective - listening, tolerance, respect, or teamwork. Players are rewarded as they align their rhythm to the world around them. Rhythms are played on the keyboard, screen, or on an optional USB drum peripheral. Rhythms allow the character to move, and different rhythms provide different powers. Holyoake developed DRUMBEAT Quest over two years thanks to a Social Innovation Grant from the Western Australian Government. The program is designed for both group and individual applications, with the young person(s) playing approximately 30 minutes at each sitting, followed by facilitated discussion. An extensive resource package accompanies the game including a facilitator's manual and video tutorials. DRUMBEAT Quest fits within the Australian Curriculum. The game incorporates elements from a number of learning areas including; literacy, numeracy, information and technology capability, critical and creative thinking, personal and social capability, ethical understanding and intercultural understanding. Social and emotional learning is a particular focus. DRUMBEAT Quest can be used with full classes, smaller groups or individuals. The program is flexible and can be delivered in a variety of ways with the length of each session able to be varied from 40 to 60 minutes at the school's discretion. Similarly, Counsellors have the flexibility of planning sessions for their clients. The game is available for PC and Mac, while iOS and Android versions will be available soon. A free 7-day trial version is also available.